They were praised by the auditor for their “thorough” approach to documented processes, compared with other companies they had audited. The award-winning Yorkshire-based toolmaker had already held ISO9001 since 2015, indicating the company’s best practice approach to quality management, continuous improvement, and to providing services of a consistently high quality. They have now received formal confirmation of successful transition on 4th July. Achieving the new standard shows the company’s ability to manage risk and take into account the needs of its stakeholders, especially its valued customers. Commitment to quality and taking account of its customers’ needs is at the heart of Faulkner Moulds’ approach, winning them the coveted ‘Supplier Partnership: Toolmaker’ award at the 2016 Plastics Industry Awards, with the judges citing Faulkner Moulds as an “exemplary example” in the industry. Faulkner Moulds are a finalist again in 2018. 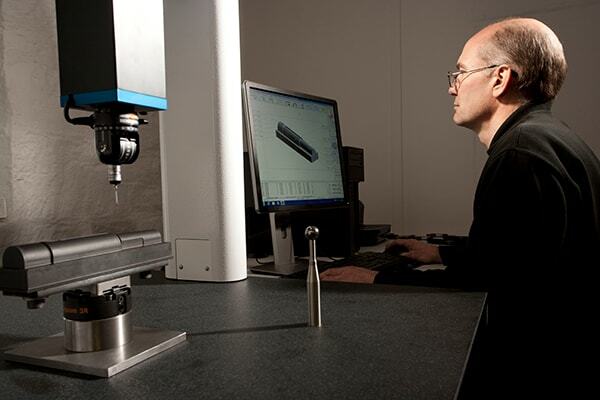 As well as stringent internal quality management processes, Faulkner Moulds uses the best technology to constantly achieve and measure to absolute accuracy and precision. For example, Faulkner Moulds’ high end CNC spark erosion machine has a manufacturer’s stated accuracy of half a micron, whilst their state-of-the-art high-speed 5-axis graphite and hard metal machining centre achieves a repeatable accuracy of 2 micron. The company’s QCT Quantum 4 coordinate measuring machine measures to an accuracy of 3.5+L/250µm, with an axis resolution of 0.5µm. With such commitment to quality, Faulkner Moulds prides itself on a strong track record of delivering tooling on time, that moulds right first time. As one customer, specialising in quality plastic tableware has commented, “Faulkner Moulds consistently design and produce immaculate, high quality tooling that moulds reliably and is built to last”.